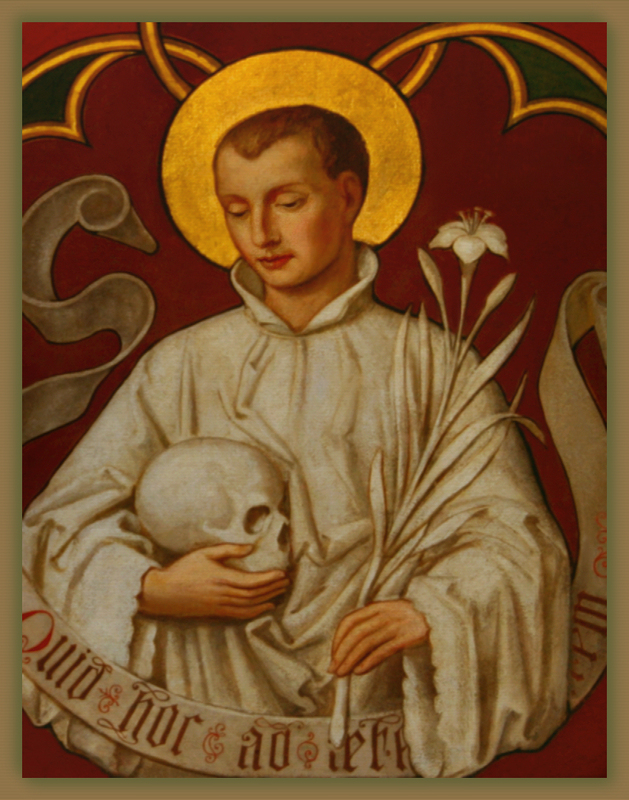 Saint Aloysius Gonzaga (religious) was one such servant who took seriously the call to take up the cross of Christ in the face of significant human suffering. He was born into a prestigious family near Mantua in Lombardy in 1568. Early on his mother saw his inclination towards religious life. He delivered his inheritance to his brother and joined the Society of Jesus – dying in 1591 while serving the sick affected by the plague. In light of these great words from St. Aloysius may we firmly grasp our own personal crosses, look suffering in the face and embrace that life of service that Christ has called us to. It will not always be easy but it will lead each of us to that place, like St. Aloysius describes, where we will (forever) be in His presence – praising GOD. May eternal life come for each of us in the same way as it did for St. Aloysius. May we respond in like manner – in faith and confidence.